Huawei has announced the start of sales in the domestic market its new tablet with function calls MediaPad 7 Vogue, the first information about which appeared online back in March of this year. Huawei have confirmed that they want to be among those producers who today releases its tutovye smartphones in two versions. Conventional and so-called "Google Edition". We will remind that earlier under the influence of this idea came Samsung and HTC released their flagships Galaxy S4 and the One on stock Android, pakticheski without intervention in the system, with no proprietary launcher, shells, applications, and other software technologies. 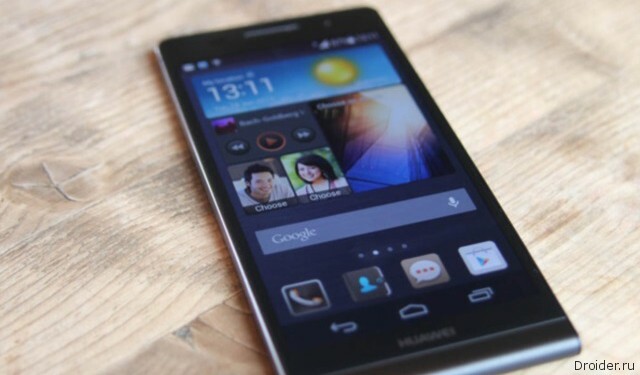 In late spring we wrote about a budget smartphone Huawei — Ascend G610. Apparently at the time the source is wrong and the machine ends up with a screen diagonal of 5-inch (resolution of 960x540 pixels) instead of 5.4 in. Recently, well-known manufacturers of mobile devices began to resort to selling their flagships without firm shells with "naked" Android OS. Not so long ago began selling the Samsung Galaxy S4 Google Play edition and HTC One Google Play edition. Today the head of the mobile division of Huawei, Kevin Ho in an interview with Pocket-Lint was told that the Chinese manufacturer in the near future plans to introduce a Google Edition version of the smartphone Ascend P6. 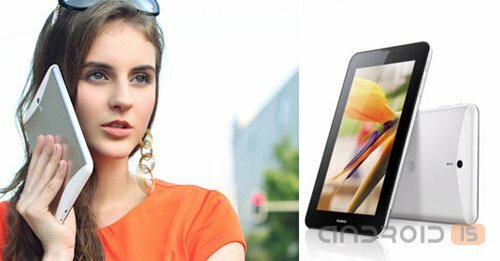 released recently the budget tablet Huawei Mediapad 7 Vogue will soon be joined by another model — Mediapad 7 Youth (designation for internal nomenclature — S7-701). The first images of the device and details about the specifications made available through the Federal communications Commission (FCC), which tested the wireless features of the mobile device. 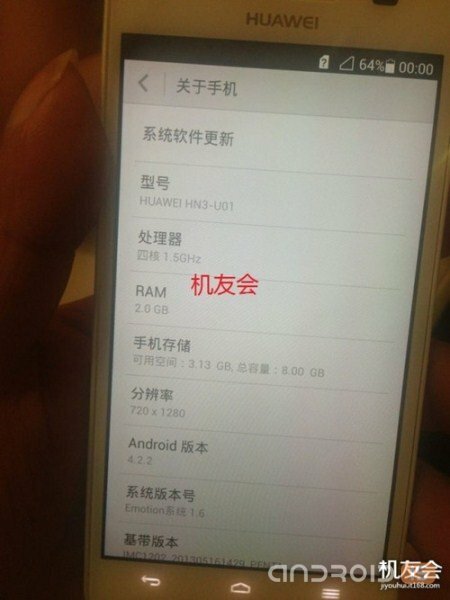 According to Chinese sources, Huawei is preparing for the announcement of the third generation devices upscale line Honor smartphone the Huawei Honor 3. 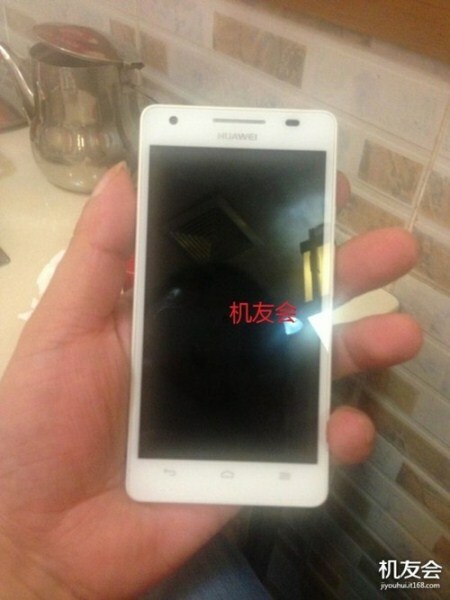 Today, the Network appeared photo, which allegedly depicted smartphone Huawei Honor 3. Image can not boast of high quality, but even they can see that the device has a plastic case and looks simple enough. Especially after Ascend P6. 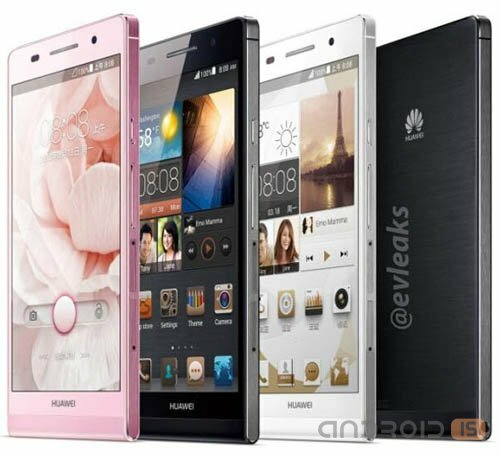 The New model Ascend P6 was introduced by Huawei. Its thickness is only 6,18 millimeters, and is today considered a record. 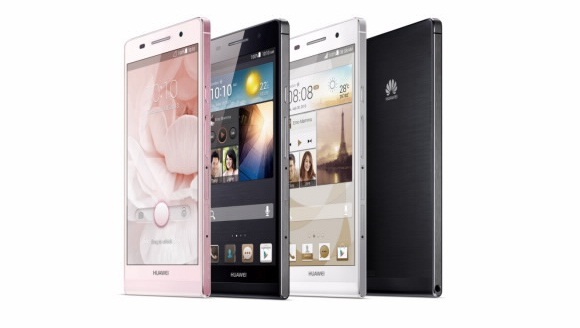 On Tuesday at a special event in London, Huawei unveiled to the world its new smartphone called Ascend P6. The novelty is positioned as a premium device and is designed to compete with such famous devices as the iPhone 5 and Galaxy S4. Huawei has introduced a smartphone Huawei Ascend P6 features a 1.5 GHz Quad-core processor, 4.7-inch HD in-cell display and a front 5 megapixel camera in addition to the 8 megapixel main, which is enclosed in a sleek metal body thickness of only 6.18 mm. 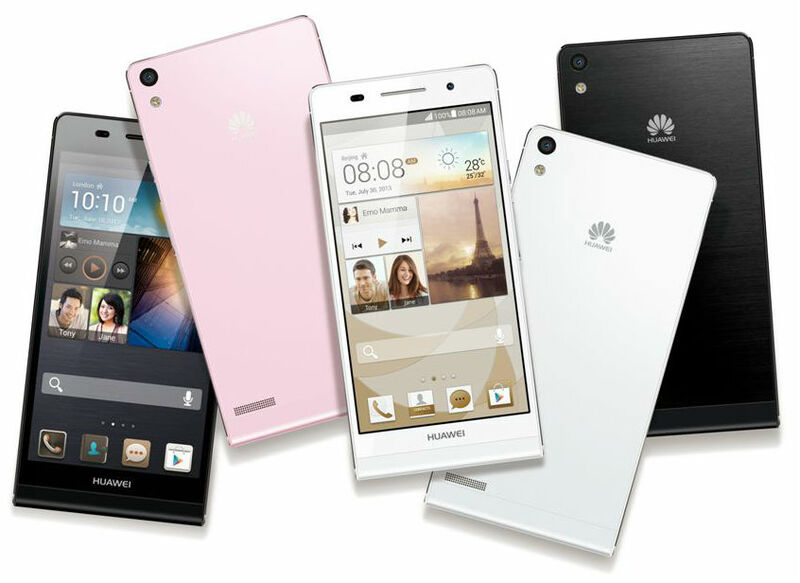 Recently, the smartphone Huawei Ascend P6 has been in the news almost more than any other expected novelty. The specifications and appearance of the devices have been known for a long time. Just this morning the company said that about 2 million people on the site "wanted to buy" new. This is certainly not an indicator such as in the case of pre-orders, but a certain excitement around the smartphone indicates that people are definitely interested in the device that received the laconic metal body, but not able to boast the most top-end "filling". Although many will say that the Ascend P6 is painfully reminiscent of a smartphone a well-known company whose name cannot be called out loud and they will be right. 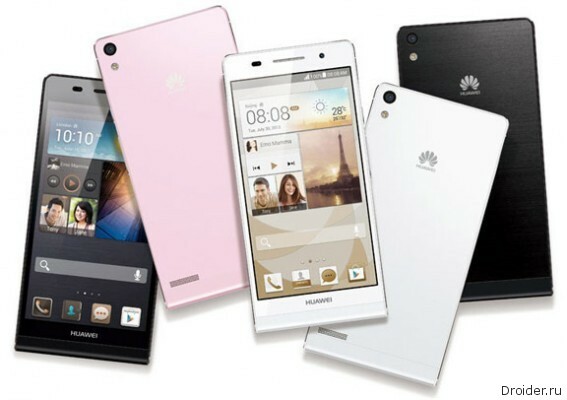 Huawei, the world leader in the development of ICT solutions, has introduced a smartphone Huawei Ascend P6 thickness of only 6.18 mm. It is equipped with a Quad-core 1.5 GHz, 4.7-inch in-cell HD display, excellent front camera of 5 megapixels, outstanding software, and is enclosed in a sleek metal housing. 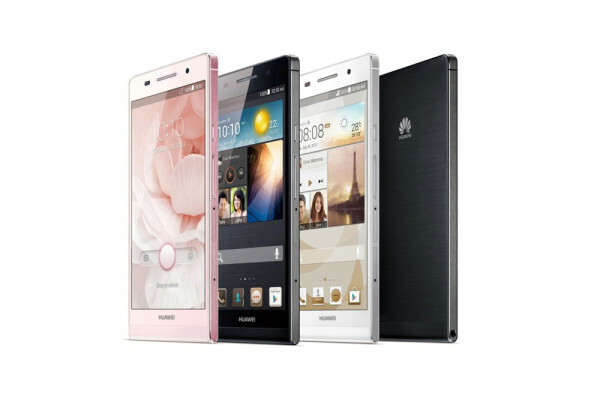 Huawei Ascend P6 is the embodiment of sophisticated elegance. 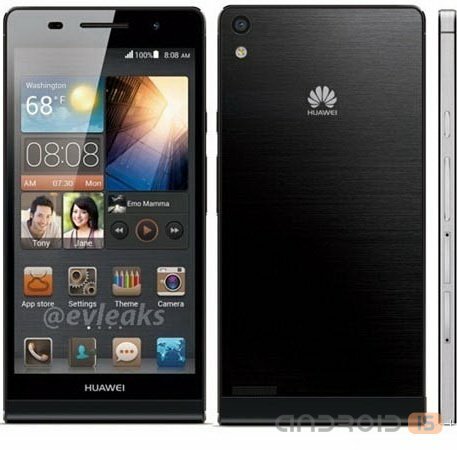 Most of the spec slim phone Huawei Ascend P6 was known in April. Later, the network got the image and the device. Today, the resource VR-Zone has published a complete and supposedly accurate settings of the smartphone. 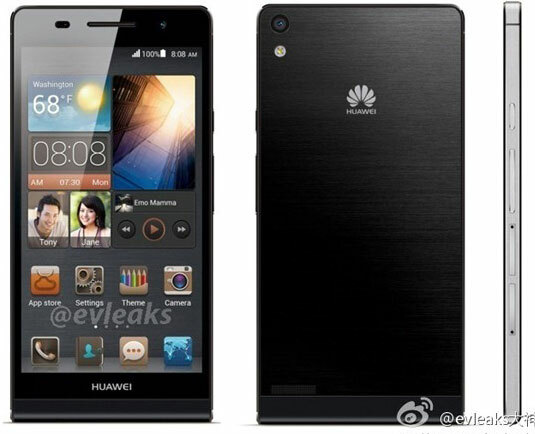 Just a couple of days before the official announcement, scheduled for June 18, the leaked another portion of details about the new contender for the title of "most thin", the flagship smartphone of Huawei, model Ascend P6. 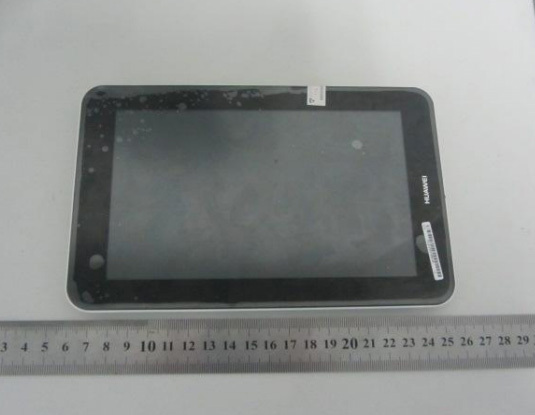 Huawei is fully declassified tablet computer MediaPad 7 Vogue. Yet to buy the product will the people of Taiwan, there is a device priced at $300. 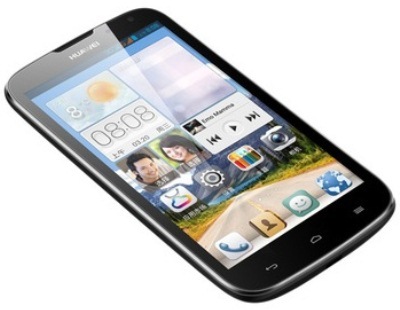 Huawei has announced that it is preparing an update Android 4.2 to some of its smartphones. Devices in question include the Ascend 1, Ascend P1 and Honor 2. These phones will also get the Huawei Emotion 1.6 with the OS update. Not tried Huawei to keep the intrigue of the impending presentation of the slimmest device in the world, the smartphone Ascend P6, omnipresent @evleaks again ahead of the producer and has released images of the still unannounced new products. 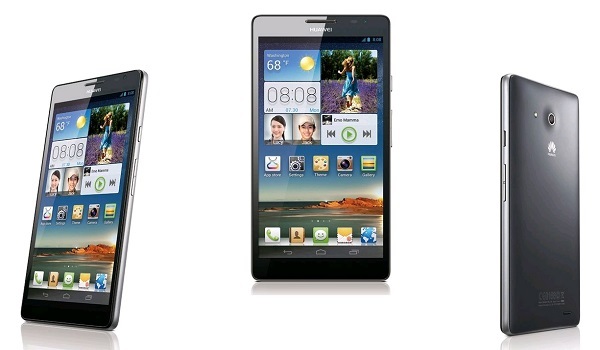 The British online store has the opportunity to purchase the phablet Huawei Ascend Mate for £335. Buying the device is available in black color, does not involve a contract. 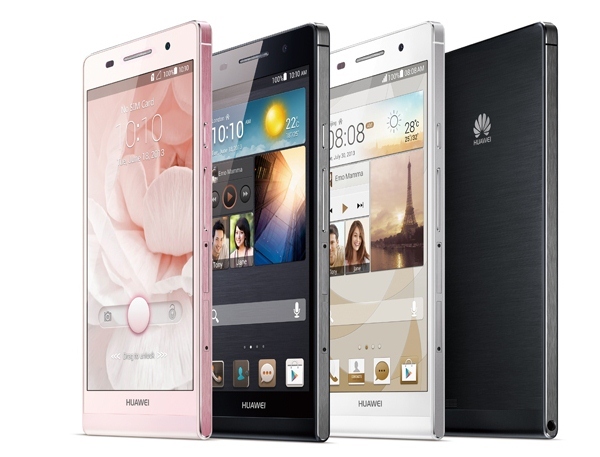 Huawei Ascend Mate can accept SIM card of any operator. 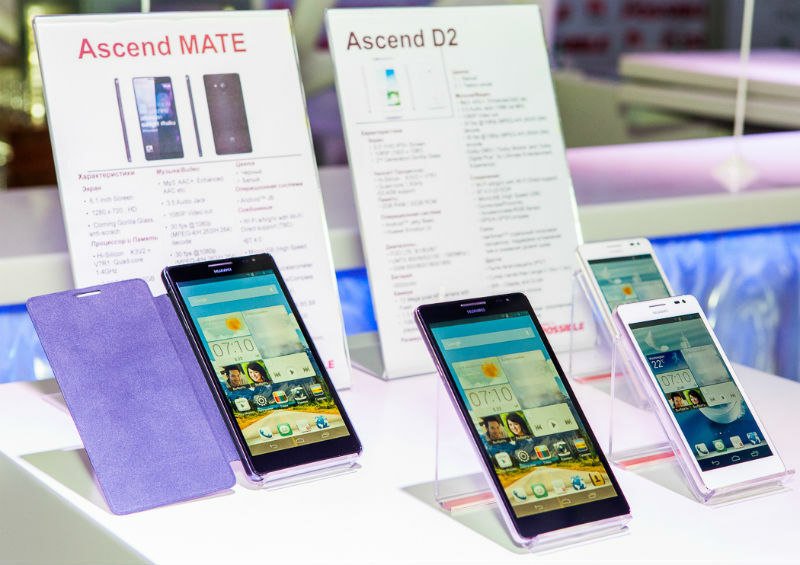 Huawei has announced the release of the updated line of smartphones Huawei in the retail sale on the Ukrainian market – the Ascend D2 and Ascend Mate, which will become the flagship product line of the company.